This acrylic painting set comes with everything you need to get started in this art form. 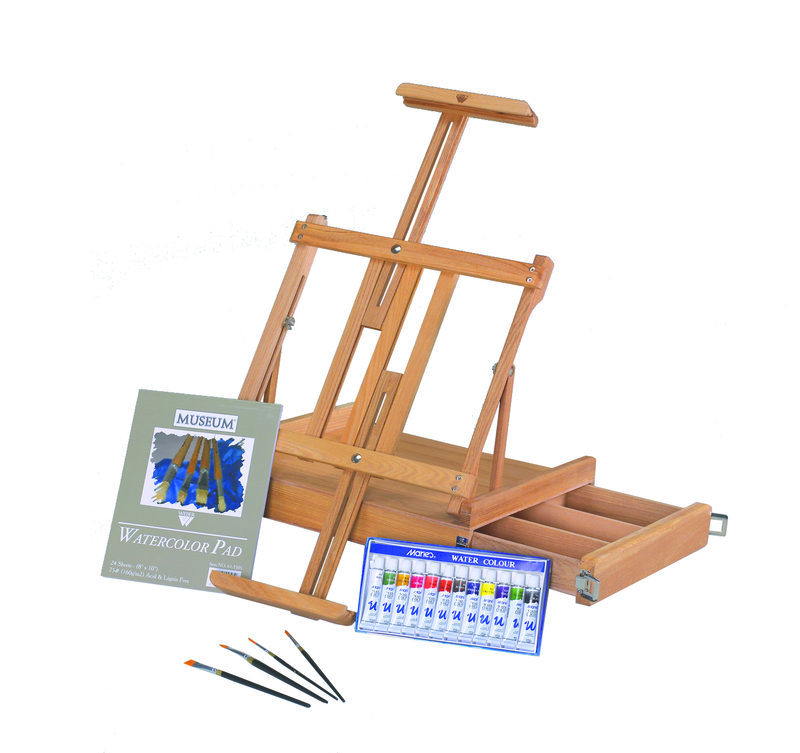 Includes a high quality easel, twelve tubes of acrylic colors, three 9" x 12" canvas panels, and four Taklon artist brushes. If you or someone you know is interested in getting started in painting with acrylics, The VanDyck Studio Acrylic Painting Kit is perfect. It comes with everything a new artist needs to get to work right away on their first masterpiece. The biggest feature of this kit is the high-quality, wood tabletop VanDyck easel. This easel can be set up on any flat surface, and includes a special feature that allows it to be adjusted so that the painting can rest below the surface of the table. This allows the artist to paint without standing. Also included are twelve paints, three pre-stretched canvases, and four brushes. Please note: This item requires an oversize shipping charge of $26.20.